Dinner is done and it’s quick and easy. 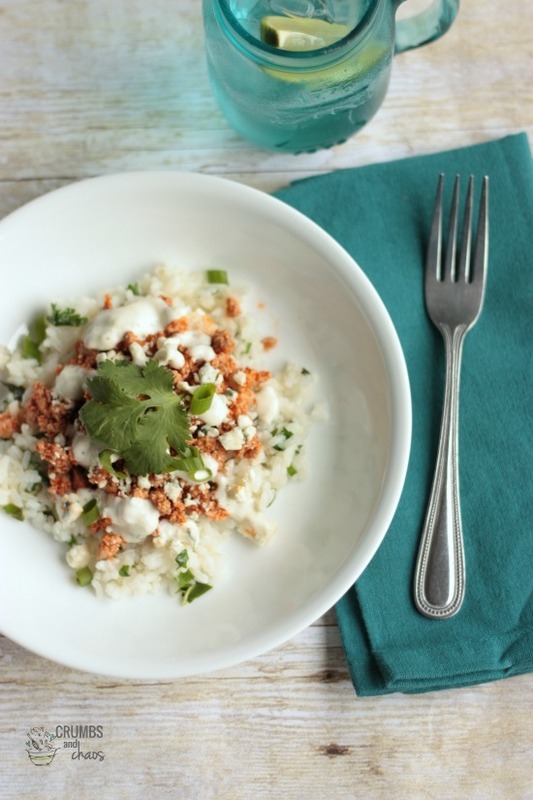 This Buffalo Chicken & Rice Bowl is part of a sponsored post for Collective Bias® and Tyson. I adore big, bold flavors. In fact, buffalo chicken is one of my favorite things – ever…and I’m not talking about wings. I’m not really a fan of eating a little bit of meat off of little bones. 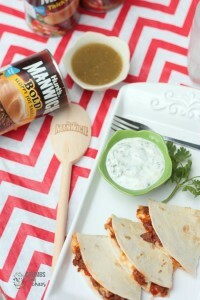 But give me anything else that uses buffalo sauce and I will be a happy camper. 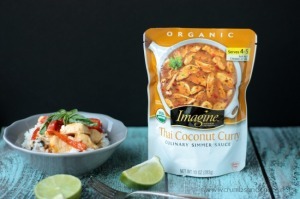 Sometimes it isn’t always easy to incorporate bold flavors into quick weeknight meals. Tyson makes an All Natural Ground Chicken that is sold in 1 lb. packages and so very perfect for cooking up and adding to your favorite meals that use ground meat. It’s available at Walmart and I got all of the other ingredients for this #CreateAMeal there too. Another bold flavor that is the perfect complement to buffalo sauce? Cilantro. It’s my all time favorite herb and I rarely leave the grocery store without a bunch of. This basic meal could be used as a backdrop for many different flavor combos. 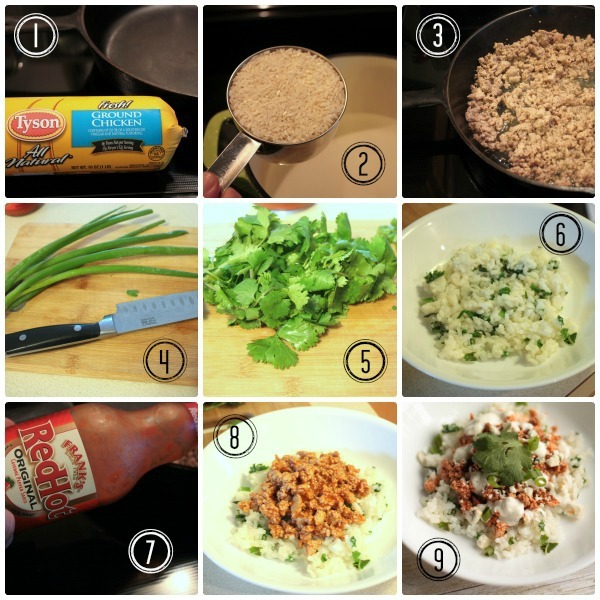 I went the buffalo chicken and cilantro rice route – what a flavorful path to take! I love how this all mixes together in one bowl and it doesn’t really take too long to get on the table and could be made ahead of time if you have something scheduled right before dinner time. Win-win. You could also take it to go by putting it in a tortilla and wrapping it in foil. Voila – fast food. 1. Start by putting 1 lb. of Tyson Ground Chicken in a skillet. Heat over medium heat. 2. Cook 4 servings of rice according to package directions. 3. Cook chicken until no longer pink, using a spatula to get to your favorite size of crumble. Drain and return to pan. 6. Mix chopped green onion and cilantro into rice. Divide into 4 bowls. 7. Mix your favorite buffalo sauce into cooked chicken. 8. Top each portion of rice with buffalo chicken. 9. Sprinkle on crumbled blue cheese and additional green onion and cilantro. Drizzle with dressing and serve. A flavorful weeknight meal using Tyson Ground Chicken that will be on the dinner table in about 30 minutes. 1/4 cup CHOPPED GREEN ONION, plus more for garnish. In a skillet over medium heat, cook ground chicken. Drain and set aside. Put water, rice and butter in a medium saucepan and cook according to package instructions. Stir cilantro and green onion into cooked rice. Add desired amount of buffalo hot sauce to chicken. Mix well. Divide rice among 4 bowls. 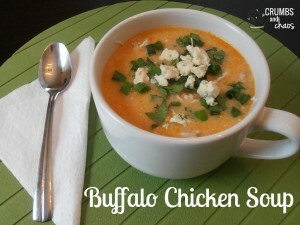 Top with buffalo chicken. 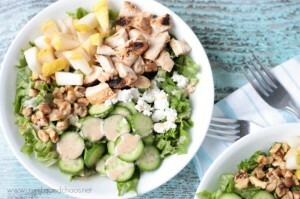 Sprinkle with blue cheese crumbles and extra green onion and cilantro, drizzle with dressing and serve. If everyone isn't a buffalo sauce lover, add sauce to individual portions. 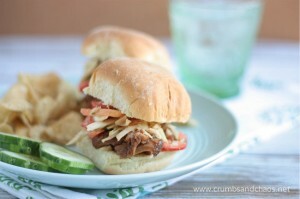 Use barbecue or teriyaki sauce for those that don't like spicy. If you aren't a fan of blue cheese, use a shredded monterey jack or cheddar cheese or leave the cheese out. Sounds yummy! I think even my Hubby might like this and he is not a big fan of chicken usually! This looks fabulous! I’m with you..I don’t like to work so hard for my meat and therefore am not a huge fan of wings. 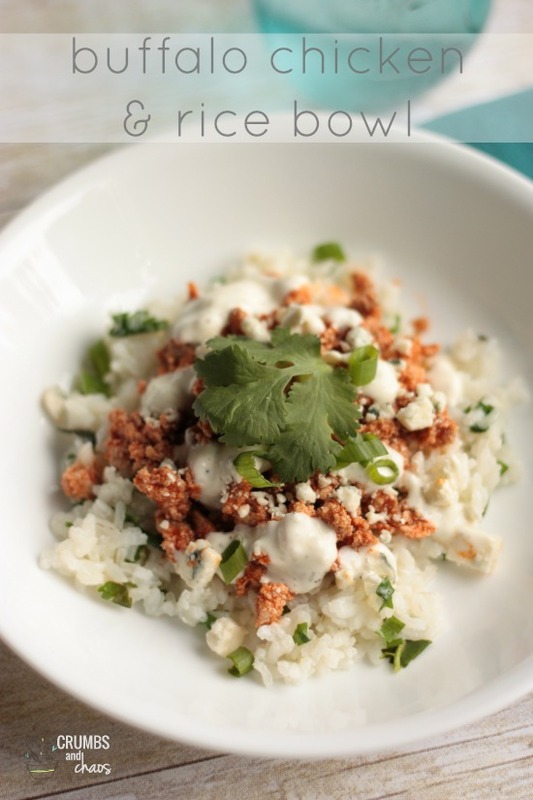 Love cilantro and can def see myself making this dish on a busy weeknight! It’s so nice to meet you, Becca! Hope you have a blessed weekend with your family! Thanks, Min – you too!! Oh this looks and sounds soooooo delicious! Thanks for sharing! Jennifer | The Deliberate Mom recently posted..Mama Mia! My Sangria! This looks like such a delicious dinner! All those flavors sound great together and served over rice it sounds wonderful! I’m with you – we’re not wing eaters either, but love the flavor. 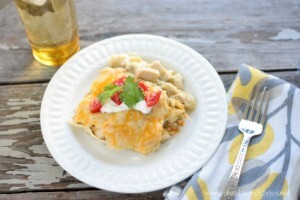 This is a perfect weeknight meal! Your recipe reminds me that I should cook more with buffalo sauce! It looks delicious.